Posted on December 11, 2017 at 4:11 pm. A Japanese organisation hosting poker tours around the country has announced it will be launching an international poker tour. 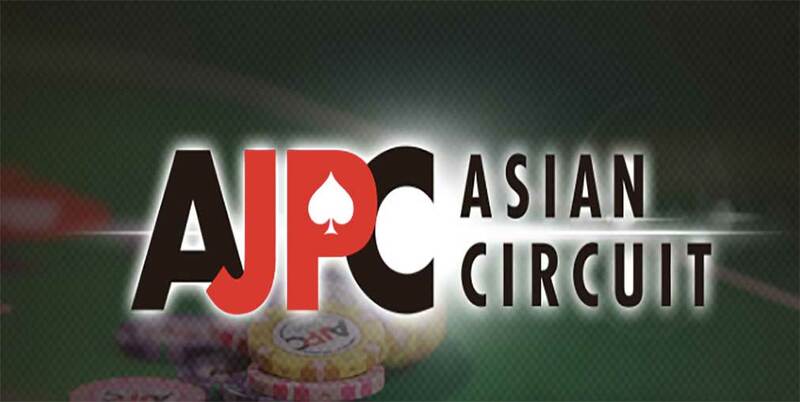 The All Japan Poker Championship, which hosts several poker tournaments in the country, recently announced the AJPC Asian Circuit, featuring several tournaments held throughout Asia next year. The first leg of the event will take place in Korea this week at the Paradise City Incheon in South Korea. Featuring a KRW1.1 million buy-in main event, a KRW330,000 buy-in Turbo event, and a KRW11.8 million buy-in Super High Roller event as part of the nine-event schedule, the new tournament will run from December 14 to 18. The APJC is also hosting a Paradise City Poker Cup, which is a freeroll tournament with KRW 40 million up for grabs. The organisers are expecting more than 300 Japanese poker players, as well as attracting interest from players in other Asian countries. More events will be released later on in the week, helping the AJPC reach its goal of becoming one of the largest poker circuits in Asia. It also holds an annual AJPC Championship, which it describes as the “largest poker tournament” of its type in Japan. Japan’s problem gambling bill, which will pave the way for the island nation’s land-based casinos, has been delayed until January 2018. The bill has been dubbed a requirement before the Integrated Resorts Implementation Bill, which is the regulatory framework for the nation’s casinos, can be enforced. However, the lower house has postponed the preventative gambling addiction bill to the next session after the Liberal Democratic Party (LDP) and its coalition partner Komeito, reintroduced the Basic Bill on Gambling Addiction Countermeasures on December 1. The current session ended on December 8 without the House of Representatives fast-tracking the bill, despite reports that insiders expected it would be. The reintroduced bill remains the same as its original version, requiring the government to set out rules and regulations to prevent and treat problem gambling so the ban on casinos can be lifted. According to GGRAsia, the LDP is hoping that the IR Implementation bill will be introduced soon after the new session. GGRAsia’s correspondent and head of the LDP legislative team, Takeshi Iwaya, said he expects the IR Implementation Bill will be submitted to the upper house in March 2018. Players looking to gamble on their favourite games online can do so securely at top recommended sites. Players from United States should check out Raging Bull Casino, which has a selection of fair games, including poker against the house, that are regularly audited and tested to ensure fair and responsible online gaming.